EA have released a live-action trailer for the upcoming Mass Effect 3 at E3, the teaser reveals a massive oncoming invasion of Earth by Reapers. The game doesn't arrive until March 6th 2012 but its already being lauded as one of the biggest that year and has received six award nominations at the Expo as Best of Show, Best Xbox 360 Game, Best PC Game, Best RPG, Most Anticipated Game and Best Trailer! Hit the jump to check it out. 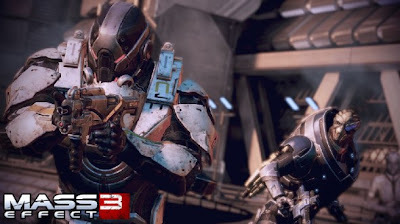 I'm reading: GAME NEWS: The Epic E3 Teaser For "MASS EFFECT 3" Reveals Total Earth InvasionTweet this!